Following the death of your pet you can choose to remember them in a variety of ways. If your pet has been cremated then you may wish to have their ashes back to scatter in a favourite spot or to keep with you indoors. 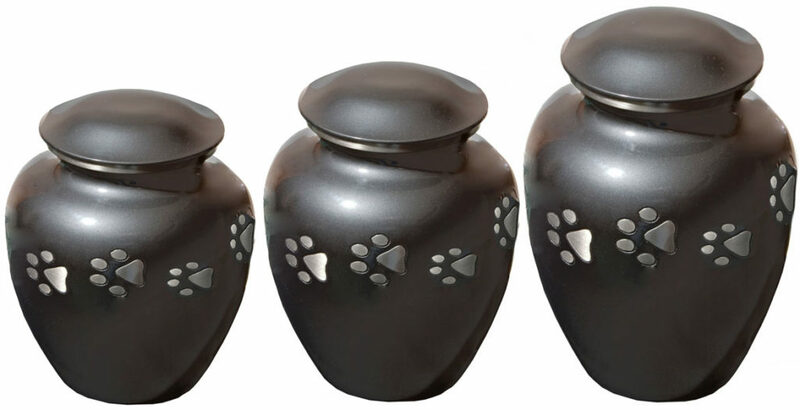 Specialist individual pet crematoriums normally offer a wide range of pet caskets and urns for you to choose from. For many people playing an active part in choosing the vessel for their pet’s ashes is one way of helping deal with their bereavement. Pet caskets and urns can vary from something very simple used to scatter ashes from to something very ornate in order to commemorate them. Whether you have chosen to have your pet’s body buried or cremated purchasing a pet memorial is one way to celebrate and commemorate the bond you shared. Pet Memorials come in all shapes and sizes with many suitable for home use.